SHANNON, SAMUEL LEONARD, lawyer, militia officer, office holder, politician, teacher, and judge; b. 1 June 1816 in Halifax, second of six children of James Noble Shannon and Nancy Allison; m. 31 Oct. 1855 Annie Starr Fellows (Fellowes), and they had ten children, of whom four sons and four daughters survived childhood; d. 7 Jan. 1895 in Halifax. Descended from Irish forebears, Samuel Leonard Shannon (who was known by his middle name) was closely connected to the loyalist tradition. His grandfather Richard Cutts Shannon was a New Hampshire loyalist who sent his son James Noble to live with an uncle in Parrsboro, N.S. Leonard was named after a great uncle, Samuel Leonard, who served as a British army officer during the American revolution. Little wonder he retained a strong sense of loyalty to the British crown throughout his life. Shannon’s father was a successful dry goods merchant in Halifax, and his mother was a cousin of Charles Frederick Allison*, founder of the Wesleyan Academy at Sackville, N.B. Leonard showed no interest in business, preferring to concentrate on history books. Growing up in a fashionable home among such notable family friends as shipowner Samuel Cunard*, author and judge Thomas Chandler Haliburton*, and British army officer Harry George Wakelyn Smith aroused his curiosity about the world. Shannon was educated first at a dame-school and then at Halifax Grammar School. Subsequently he attended King’s College in Windsor, distinguishing himself in classics and history. He graduated in 1836 but would continue to maintain a close affiliation with the college as alumni treasurer and a frequent guest speaker. In 1875 King’s awarded him an honorary dcl. Although interested in classics, Shannon decided to pursue a legal career and in the fall of 1836 entered the offices of Henry Pryor in Halifax as an articling clerk. 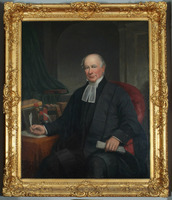 In January 1839 he was called to the Nova Scotia bar and opened his offices in the capital. During his many years of legal practice he was noted for his methodical manner, high moral standards, and skills as a solicitor. 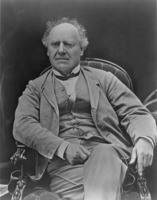 In 1864 he was appointed queen’s counsel. Active in community affairs, Shannon joined the 2nd Halifax Militia Regiment in December 1837, eventually retiring as an honorary lieutenant-colonel. 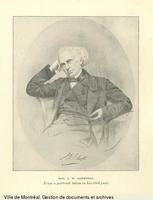 In 1840 he took part in a controversial public debate when he acted as secretary for the public meeting, chaired by Joseph Howe*, that resulted in a successful petition for the recall of Lieutenant Governor Sir Colin Campbell*. In September 1845 Shannon joined the Hand-in-Hand Fire Group, an élite men’s club and volunteer firemen’s service. The following year he became secretary of the privately owned Halifax Water Company and he held this position until the city purchased the company in 1860. The fall of 1847 saw Shannon setting out on a nine-month grand tour of Europe and Great Britain. These were exciting times of political turmoil, particularly in France and England, and he encountered the Chartist riots in London and political disruptions on the Continent. Shannon’s experiences provided him with material for years of public speeches. While in England he acquired a suspicion of free trade, claiming in a letter to his father that it was “a great delusion.” He believed that neither Europe nor the United States would supply sufficient new markets for Nova Scotian goods. He also became convinced that England was “desirous to prepare us for our independence.” Although unenthusiastic, Shannon as early as 1848 accepted the inevitability of confederation with the other British North American colonies. In 1858 Shannon was named a commissioner of the Nova Scotia railway board, a mark of his lifelong interest in railway construction. The following year he entered provincial politics as a successful tory candidate for the western division of Halifax County, which included the city. He was re-elected in May 1863 and from the following month until 1867 he served as a minister without portfolio in the administrations of James William Johnston* and Charles Tupper*. During his first term as an mha Shannon promoted reforms that reflected his concern for justice. He called for a new patent law giving Americans reciprocal rights, a new bankruptcy law requiring creditors to go to court for compensation, and a county court system that would reduce the work-load borne by magistrates. In his second term Shannon spoke out strongly in favour of the Intercolonial Railway and the establishment of a system of free common schools funded by universal assessment. By this time he was particularly vocal in his support for confederation, stressing that it would reduce unnecessary and expensive duplication of services and provide tariff-free markets for Nova Scotian products. He suggested that “our leading men . . . will have their minds enlarged and take a higher position as statesmen.” Confederation was achieved, but Shannon lost his seat in 1867 because of his pro-confederation stance. Nevertheless, in 1870 Queen Victoria rewarded him for his support by granting him the title “Honourable.” His only regret was that the new country had not been called British America. His loyalty to Britain was deeply rooted. In July 1862 Shannon had been appointed to the board of governors of Dalhousie College. He served until his death and was at various times vice-chairman, auditor, and investment adviser for the board. He helped to draw up a new set of by-laws for the college in 1864 and supported the efforts to establish it as a non-denominational, provincially funded university. Shannon was also involved in the formation of the Dalhousie law school in 1883 and was one of the first instructors, teaching real property, criminal law, and Roman law until about 1890. The Methodist Church played a central part in Shannon’s life, and he was a trustee of the Grafton Street church. For 40 years, until his death, he was president of the Nova Scotia branch of the British and Foreign Bible Society, and for 30 years he was trustee of the Halifax Young Men’s Christian Association. He also served as president of the Nova Scotia Evangelical Alliance between 1876 and 1893. In 1881 Shannon was appointed a judge of probate for Halifax County. Although not a colourful jurist, he was respected as sound and fair. He was also noted for his dignified bearing, which inspired the nickname Count D’Orsay. His health, never robust, deteriorated during the 1880s and 1890s. He was virtually blind by 1892 although he remained relatively active until his death three years later. His funeral was attended by leading politicians, churchmen, lawyers, judges, academics, and students. Respected as a model citizen, Samuel Leonard Shannon was very much a man of his time and community. Dalhousie Univ., Faculty of Law Arch. (Halifax), Dalhousie College, Law Faculty, minutes of faculty meetings, 1883–93; Law School, reg., 1883–98; “List of donations, loans &c. to the Law Library of the University of Dalhousie, Aug. 1st 1883,” comp. J. T. Bulmer, librarian. DUA, MS 1-1, A, 1862–90. PANS, MG 1, 799–805. N.S ., House of Assembly, Debates and proc., 1860–67; Journal and proc., 1860. Acadian Recorder, 7 Jan. 1895. Halifax Herald, 8–10 Jan. 1895. Cyclopædia of Canadian biog. (Rose and Charlesworth), 2: 756–57. Halifax directory, 1863, 1869–70, 1882–83, 1887–88, 1895–96. G. E. Hodgdon, Shannon genealogy (Rochester, N.Y., 1905). Legislative Assembly of N.S. (Elliott). Standard dict. of Canadian biog. (Roberts and Tunnell), 397–98. Eaton, Hist. of Kings County. T. M. Punch, “The Halifax connection, 1749–1848: a century of oligarchy in Nova Scotia” (ma thesis, St Mary’s Univ., Halifax, 1972). John Willis, A history of Dalhousie Law School (Toronto, 1979). Della M. M. Stanley, “SHANNON, SAMUEL LEONARD,” in Dictionary of Canadian Biography, vol. 12, University of Toronto/Université Laval, 2003–, accessed April 24, 2019, http://www.biographi.ca/en/bio/shannon_samuel_leonard_12E.html.